CONCORD, NH (February 2017) – Leadership Greater Concord, a program of the Greater Concord Chamber of Commerce that fosters civic awareness in the greater Concord community, is now accepting applications for the 2017-2018 program. 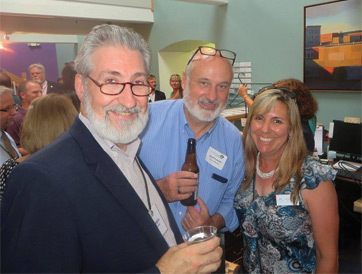 The program’s steering committee seeks to identify individuals with distinctive leadership potential and enhance their knowledge of the area by exposing them to issues, opportunities and problems facing the Greater Concord community. The individuals who are selected for the 2017-2018 Leadership class will begin work on the ten-month program in September, starting with a retreat and followed by a series of day-long work sessions from September through May and a graduation ceremony in June. 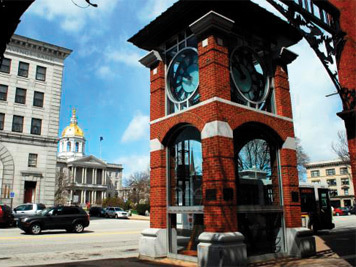 Each session focuses on a particular aspect of civic life in Concord, including history and culture, environment and sustainability, economic development, education, communications and the media, government and politics, criminal justice, health and human services, and spirituality. The application deadline is Friday, May 19, 2017 at 5 p.m. For more information about Leadership Greater Concord, please contact Valerie Blake at (603) 224-2508. To download an application, please visit www.concordnhchamber.com.